My kids go back to school this week. Can you believe that? I feel like summer just started, well technically the season of summer just started, but our school summer break is over. It's been a brutal summer too; the heat has been unbearable. There has been a lot of playing in sprinklers, visiting the pool and ice cream breaks. 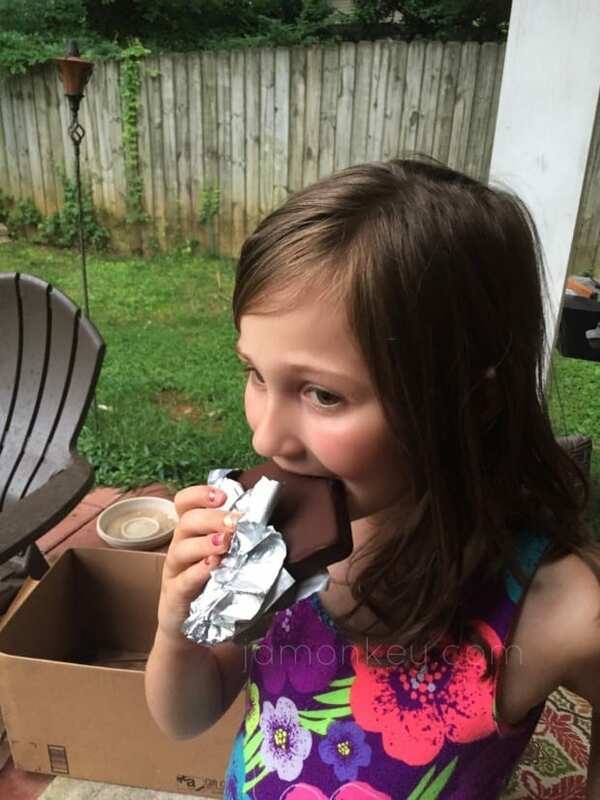 After our 4th of July party had got rained out, we had a freezer full of Klondike bars. We got a bunch of the new flavors to try out. We picked the Heath, Reese's, Cookie Dough Swirl and Mint Chocolate Chip to try out. The girls favorite was the Mint Chocolate Chip, which seems to have darker chocolate on the outside, so it came in a close second for me too. My favorite, however, was the Cookie Dough Swirl. It has a swirl of cookie dough laced through the whole bar. It's like hitting the jackpot every couple of bites. I'll be glad to see this heat disappear soon. I swear you could have cooked an egg on the sidewalk this week. 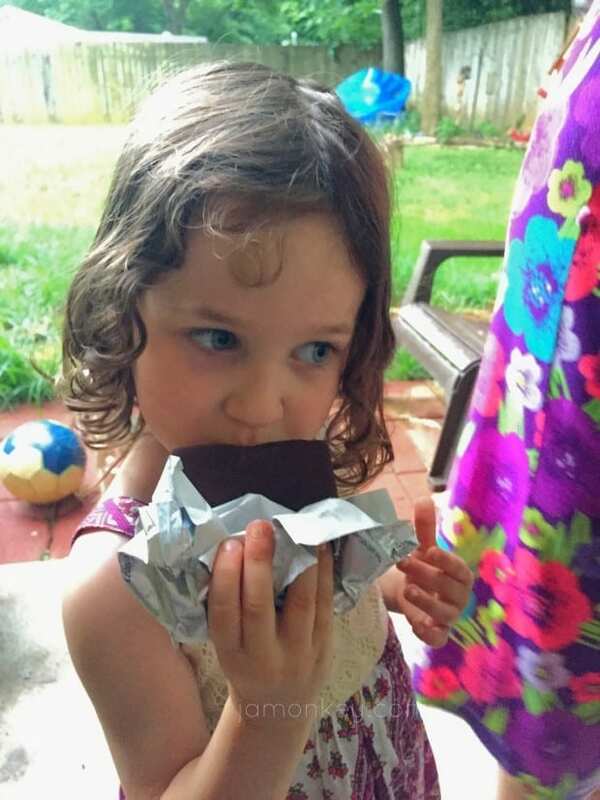 I sent them outside to eat their ice cream bars so they could drip and melt out in the grass. Then I could let them play in the sprinkler to get washed up, or spray them with the hose. That's totally the same thing. 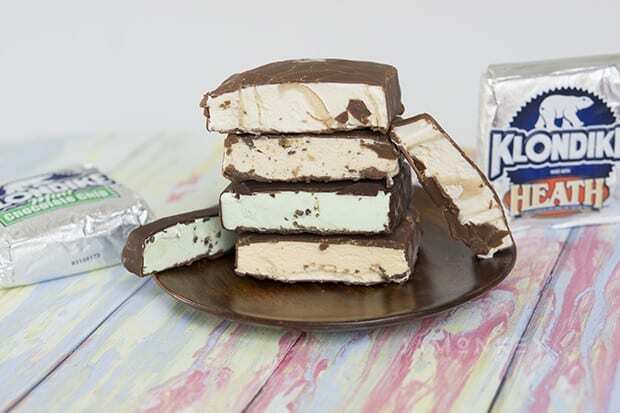 There are 12 varieties of Klondike bars, which are available nationwide, including Cookie Dough Swirl, as well as Heath, REESE’S, Mint Chocolate Chip, Krunch, Caramel Pretzel, OREO, Dark Chocolate, Rocky Road, Double Chocolate, Neapolitan, and Original. I would have loved to try the OREO and Dark Chocolate kinds. Klondike Bars are available in six-packs while the Klondike Kandy Bars are available in four-packs at grocery stores nationwide for $3.99. 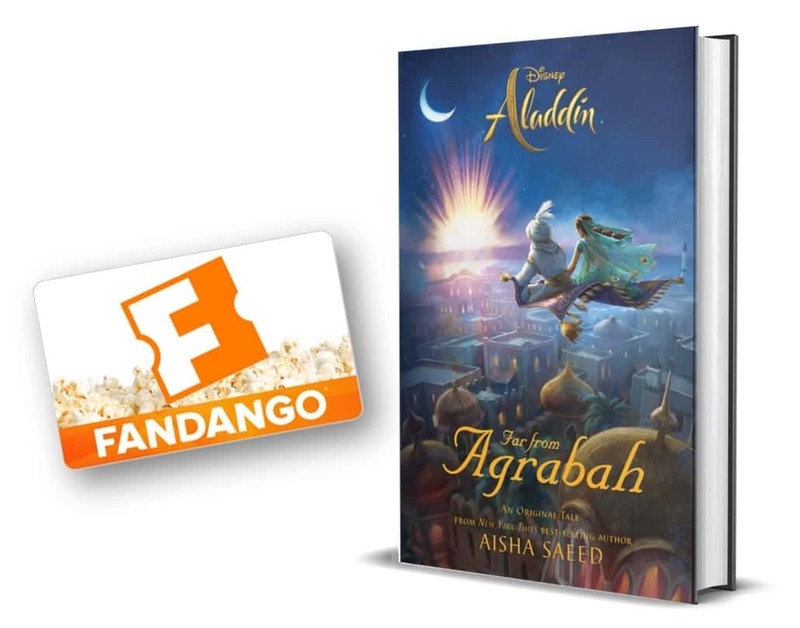 Contest entrants are only eligible to win once per sweepstakes, per household as part of a campaign sponsored by Influence Central and must be 18 and reside in the United States.